What was your favorite method of covering Spock's ears? Discussion in 'Star Trek - The Original & Animated Series' started by JonnyQuest037, Sep 12, 2016. ENOUGH OF ALL THIS TRIVIA!! It's time to discuss something REALLY important: Namely, what was your favorite way that Trek tried to cover up Spock's ears so that he could blend in with the natives? 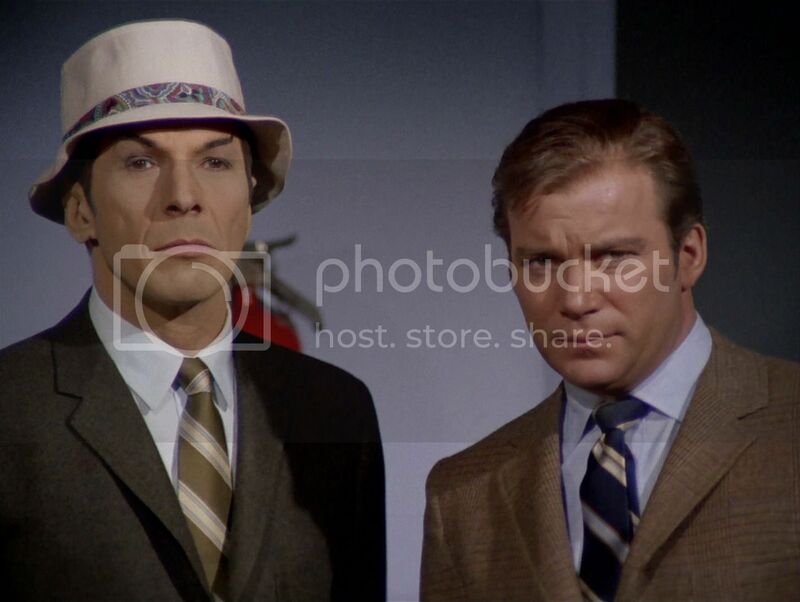 Honestly, the head-covering in this episode is a little half-assed, as Spock stops wearing the hood once he's indoors, and none of the natives ever comment on it. Disappointing. Strange how no one ever commented on Spock's upswept eyebrows, however. Bonus points to the stormtrooper helmet for also hiding the tips of Spock's eyebrows. Again, bonus points for managing to cover up Spock's eyebrows and ears. 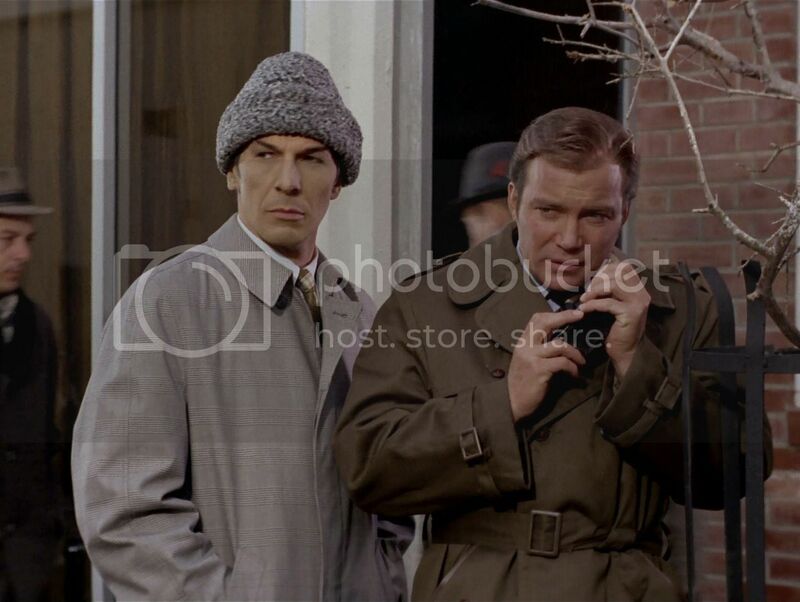 Personally, I think they missed a bet by never giving us a Mike Nesmith-style wool hat for Spock. It would have worked beautifully in the episodes where Walter Koenig was wearing his Davy Jones wig. 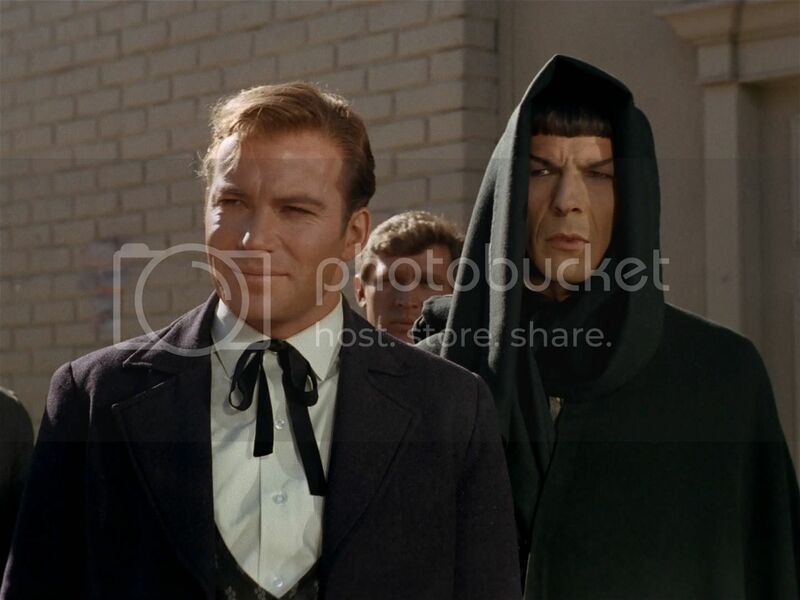 Think of the Trek/Monkees synergy! So now it's time to decide... Which one is YOUR favorite and why? Remember, folks, you can only vote for ONE! CHOOSE WISELY!!! I like fedoras, so I voted for the fedora. It's quite a sharp look. Kirk's has a lot of fuzz coming off, like a cheap costume hat. 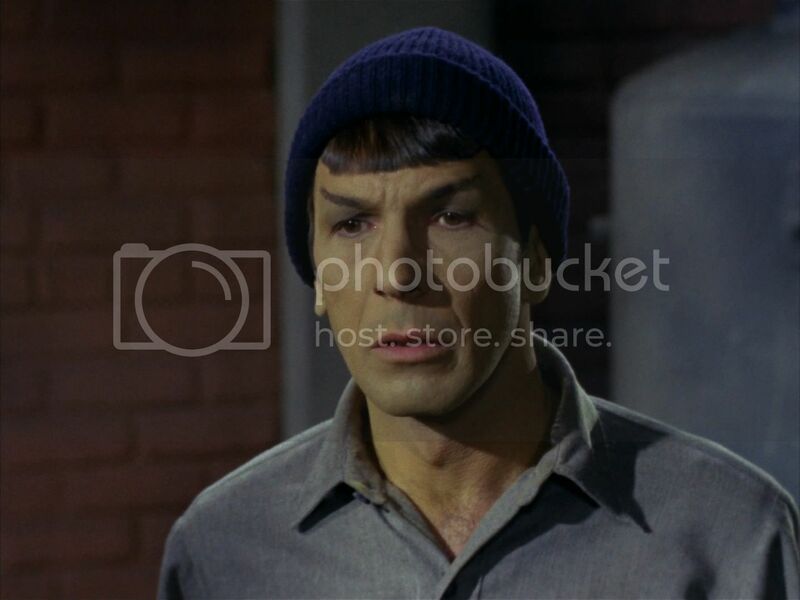 There's something classic about Spock in the knit cap, so I picked the original example of that. Darn it! I knew I'd miss something! Chalk that one up to my not having seen that episode in years. The grandpa hat might be my new favorite, BTW. Grandpa Hat has been added to the poll and the original post! You can change your vote if that one's your new favorite. Thanks for pointing it out, Push The Button! The headband is the only one that gives full spectrum coverage yet paradoxically it's the most alien look of the lot. Plus it was improvised. You'd think he'd remember to cover up after all the times he went time or culture hopping. Damn, now I have to consider whether or not to change my vote, because he does rock that grandpa hat...! Balok's Decoy and JonnyQuest037 like this. Right now it's a four-way tie! 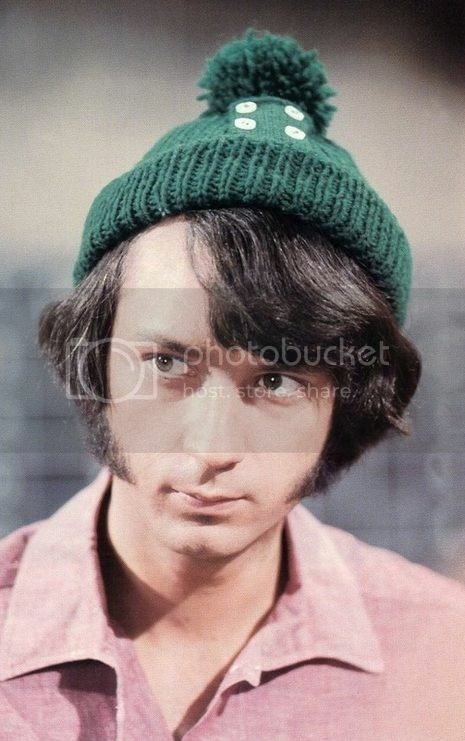 Two votes apiece for the 1930s knit cap, the 1920s gangster fedora, the STIV headband, and the Mike Nesmith wool hat. Suspenseful!!! I voted for "Grandpa Hat" just because of the enjoyable phrase "Grandpa Hat". Looking at said hat itself, it's more like a fishing hat? Maybe like Col. Henry Blake's, only his was covered with fish hooks or whatever? It's almost not a hat, as if he grabbed some random object, meant for some other purpose, and decided to slap it on his head... With some hats it just seems amazing that people actually chose to manufacture them on purpose, to put on people's heads. Timewalker and JonnyQuest037 like this. His memories were still a jumble from dying and having his soul scrambled inside McCoy's head and then regurgitated into his revived body. It's not the first time he slipped up. He forgot to put the anti-Medusan visor on too, but that was also due to the confusion of sharing consciousness with Kollos. I guess there's only so much his cauliflower can process at one time. The headband. 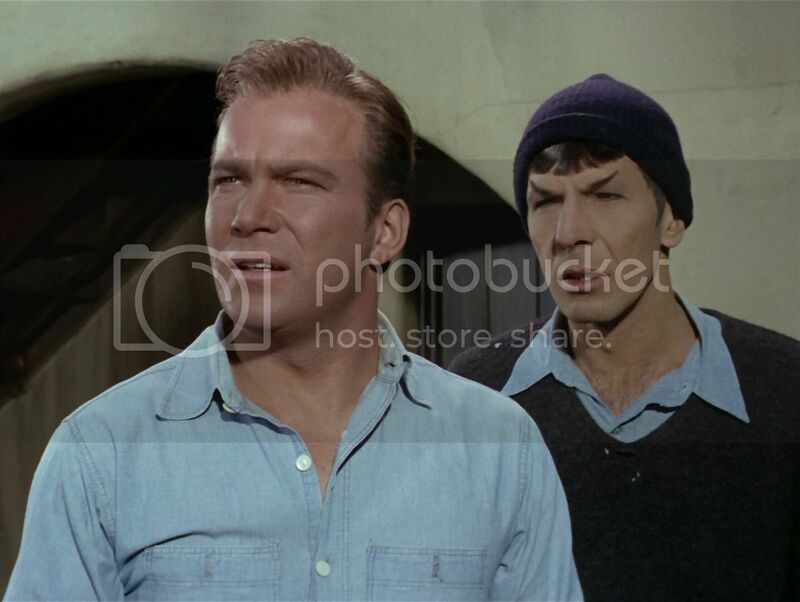 If for no other reason than the look of affection that Kirk gives Spock when he first puts it on. I've never gotten too much into K/S, but that was great. Hats with really small brims like that were apparently in style in the '60s, just as men wearing hats in public was going out of style entirely. I've seen them elsewhere. I just had to vote for the "Assignment Earth" knit cap. 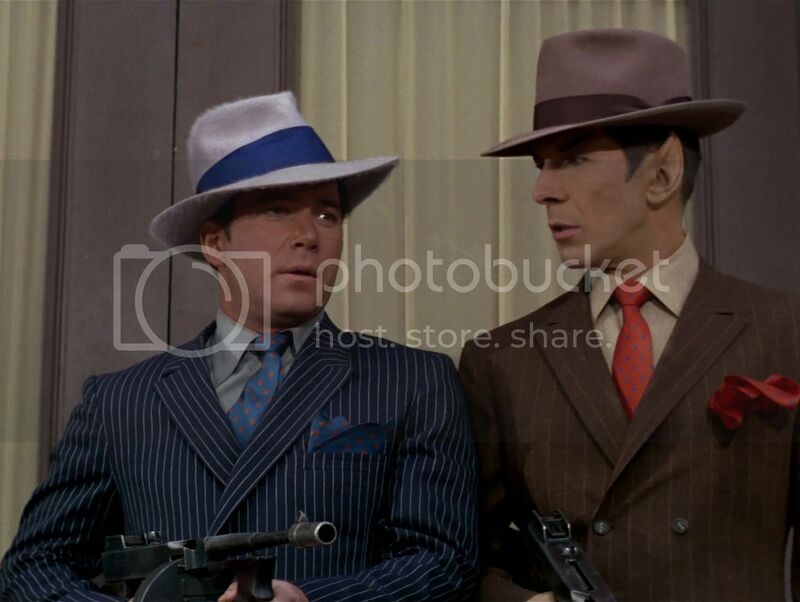 It looks too much like a stereotypical KGB spy hat for Spock to have actually gotten away with wearing it, yet he did. 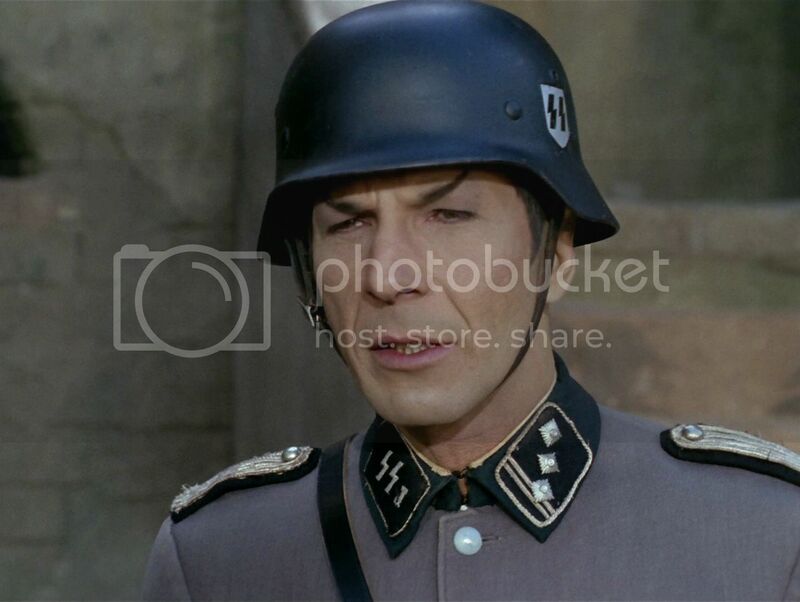 Kudos to Spock for bucking the cold war clothing trends! I voted for "Grandpa Hat" just because of the enjoyable phrase "Grandpa Hat". I like that phrase, too. That's why I used it after Push The Button called it that.